The show will air live from its Chicago, Illinois, studio at 9 a.m. CT (10 a.m. ET), he said. The show will end on September 9, 2011, as its 25th season draws to a close, according to a letter from Harpo Inc. that President Tim Bennett addressed to partners and obtained by CNN affiliate WLS-TV. 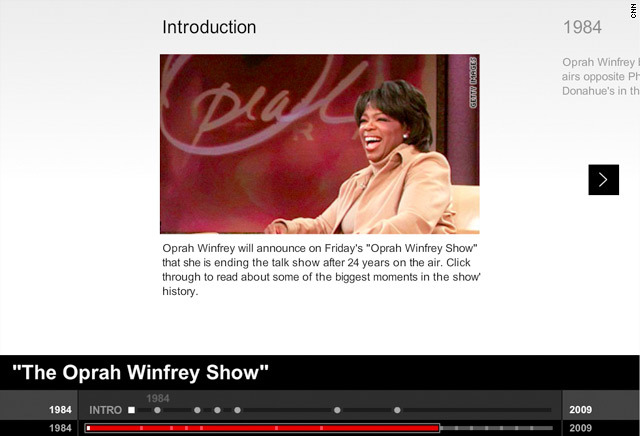 Timeline: "The Oprah Winfrey Show"
I think she has blazed a trail. ... She is an amazing woman.